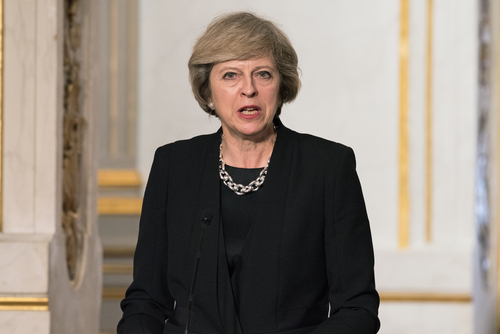 Prime Minister Theresa May on Tuesday called for an early general election to be held June 8, 2017. She is seeking a strong mandate as she negotiates Britain’s exit from the European Union. She said that while the people voted to leave the EU, the politicians had not and they think because she has a thin majority, they can prevent BREXIT. Britain has a Fixed-Term Parliaments Act, whereby elections are held every five years. However, but the prime minister can call for a snap election if two-thirds of lawmakers vote for it. May said she was looking forward to showing how Labour will stand up for the people of Britain against the bureaucrats in Brussels. While the pound has rallied into the April target, it has reached into only the 12800 zone. We can see that technical support lies at the 12131 level with technical resistance at about 13400. We still need a weekly closing ABOVE 13000 just to imply the pound will hold for a while. We need a monthly closing above the 13500 area to raise hopes of extending the consolidation into the end of the year. 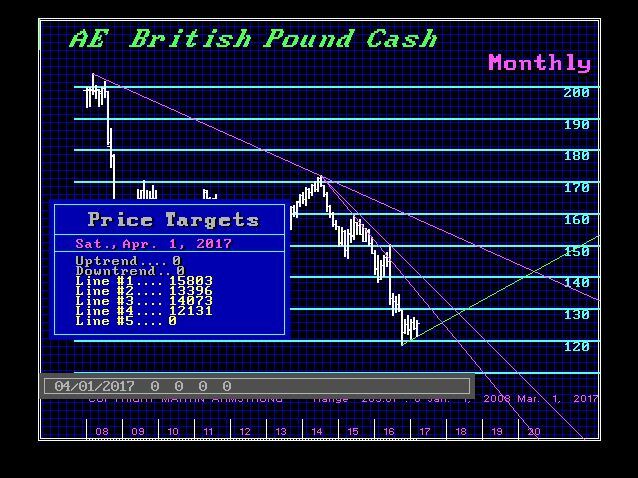 A closing for April below 12865 will warn that the pound is losing support.